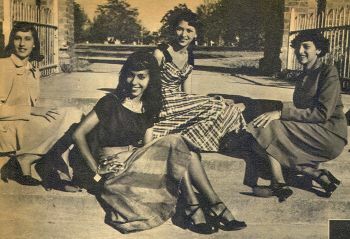 The campus’s early history is linked to Claflin University. In 1872 the South Carolina General Assembly created South Carolina State Agriculture and Mechanical Institute as part of Claflin University. In 1896, however, the General Assembly passed an act of separation that established the Agriculture and Mechanical Institute as an independent institution. Although the school was opened to white students in 1966, it remains an overwhelmingly African American campus with a 2009 enrollment of approximately 4,100 undergraduates and 700 graduate students. SCSU ranks 4th nationally in degrees granted to African Americans in mathematics, and it has the only undergraduate Nuclear Engineering Program in South Carolina. SCSU’s alumni include Ernest Everett Just, a prominent early 20th century biologist; U.S. Congressman James E. Clyburn; Benjamin Mays, President of Morehouse College; Benjamin F. Payton, President of Tuskegee Institute, and Juanita Goggins, the first African American woman elected to the South Carolina Assembly. “South Carolina State University”, www.scsu.edu; Jack Nelson and Jack Bass, Orangeburg Massacre (New York: World Pub. Co., 1970), Ralph D. Christy and Lionel Williamson, A Century of Services: Land-Grant Colleges and Universities, 1890-1990 (New Brunswick, N.J.: Transaction Publishers, 1992). Bass, Orangeburg Massacre (New York: World Pub. Co., 1970), Ralph D.